Railpictures.ca - colin arnot Photo: SD75I CN 5737 and SD70M-2 CN 8830 head south with an intermodal on the Camrose sub. | Railpictures.ca – Canadian Railway Photography – photographie ferroviaire Canadienne. 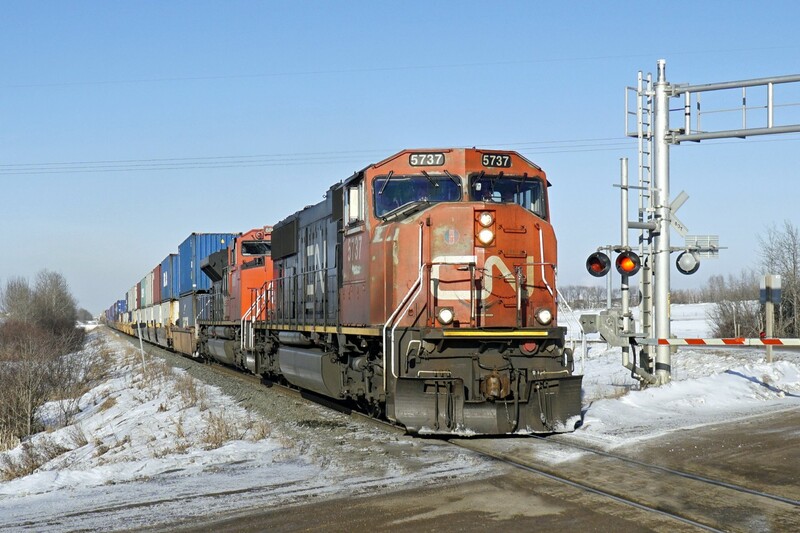 Caption: SD75I CN 5737 and SD70M-2 CN 8830 head south with an intermodal on the Camrose sub.